As I write up the posts for today, I've got Mecum Auctions 2018 at Indianapolis on the tele, and it makes for an interesting juxtaposition to the thing looking at me on the screen. The '65 GTO crossing the block (that sold for $21k) is a nice car...in fact, all of the cars hitting the block at a big name auction are "nice" but they are mostly lacking in character, individuality, or (critically) affordability. 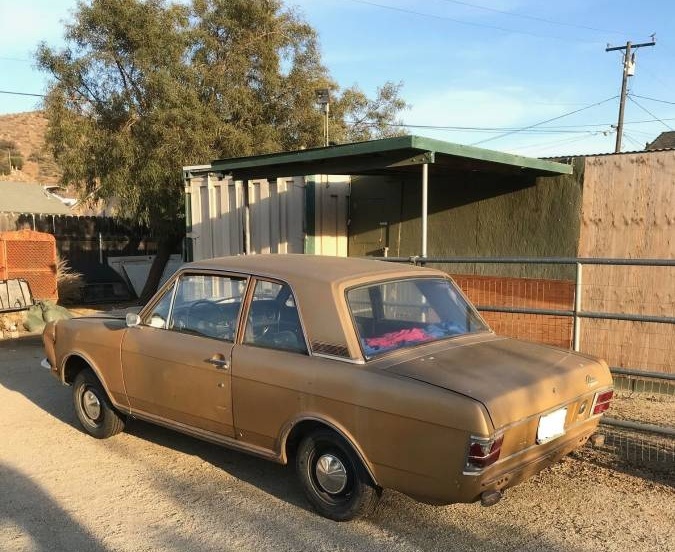 These things are bloody expensive and most are the typical cliché cars you'd find at any Friday night car show, so why not get something like this 1969 Ford Cortina Mk2 offered for $1600 in Corona, CA via craigslist. Tip from Erik. Ford Cortina MK2 two door roller, no engine, not running. SoCal car all of its life with a small amount of right hand lower fender rust and dents in the front fenders. Perfect candidate for an engine swap, Ford 2.0 Ztec, Ford Duratec, Nissan SR20DET, Ford V8, whatever. Build the ultimate sleeper and bring something different to your secret drift night. New tires just installed so it rolls with no problem. Sometimes referred to as the "English" 510, but it's a lot lighter than a Datsun 510. I can transport in SoCal for expenses. Theres got to be a middle ground between the useless overdone tools of the big name auctions and this poor benighted example of British boring. Maybe I'm being too harsh on both accounts. Nah. With a little bit of elbow grease and some parts this car could be interesting. 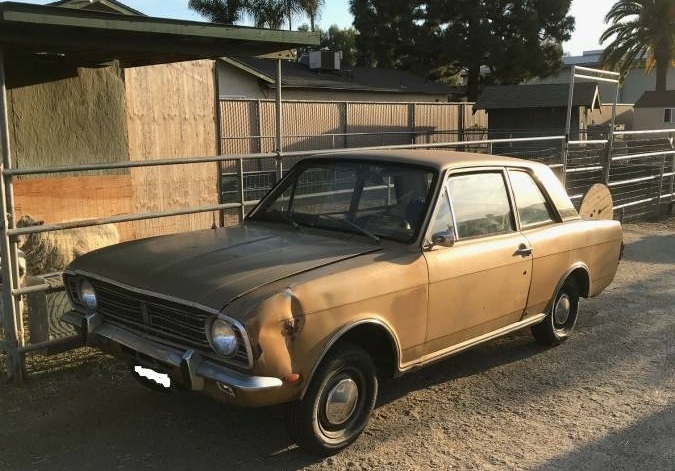 A Craigslist Cortina in Corona, California? This automobile is Anglo American Alliterative Automotive Appellations Association Approved! I'll be... It actually is, though by less than 100 pounds, so the claim of "a lot lighter" is a big stretch. Amazing how much 100lbs makes, whenever I drive with passengers I can immediately feel the weight. Otherwise, manufacturers wouldn't spend so much money engineering ways to reduce weight on supercars. So what is your engine choice? Ah, what memories. My first car was a Mk2 Cortina, but a GT. It was even the same colour as this one. It was a LOT of fun. And indeed very light. Unlike the biodegradable Datsun 510, the Cortina did not get lighter as you drive (my next car was a 510 so I know of what I speak). This particular example looks rather sad, but possibly quite solid. My choice for a swap would be a Ford Z-Tech 2.0. Lovely motors, and available cheaply in wrecker's yards. It would be an updated tribute to the Lotus Cortina Twincam. Bring it on!